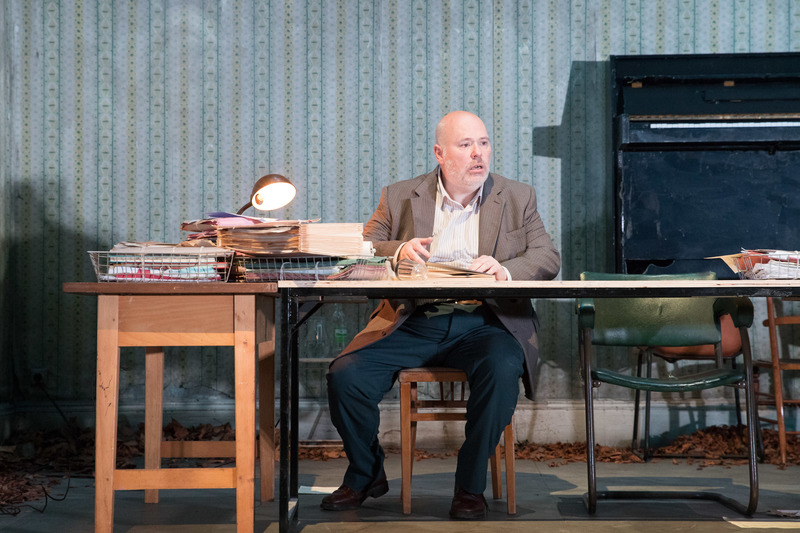 As winter blows into Manchester, HOME's latest production transports us to a summer of discontent in provincial Russia. 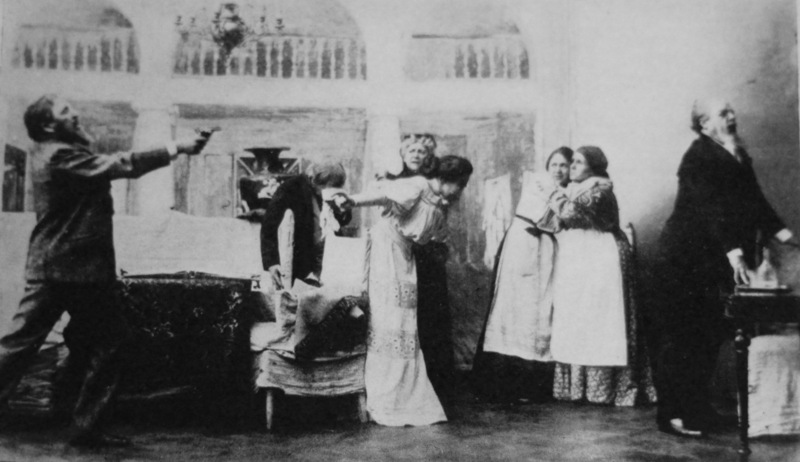 Anton Chekhov's play Uncle Vanya, was first performed in 1898. Director Walter Meierjohann, stages it at some undefined point in the twentieth century. The peeling wallpaper and mildew look like the furnishings of a Cold War defector's flat. It complements the fin de siècle atmosphere of the drama. We are in Chekhov's classic emotional landscape of thwarted love, romantic cross wires and personal disappointment. Nick Holder gives an excellent performance as the play's titular character. He is a mixture of campness and anger, with the ill-coordination of a comic celebrity on Strictly Come Dancing. Nick Holder as Vanya. Photo by Jonathan Keenan. 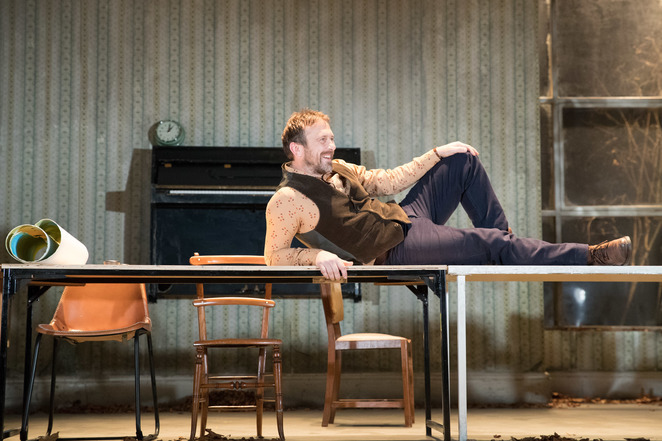 Vanya's undisguised jealousy of Professor Serebrayakov (David Fleeshman) raises laughs from the audience. He calls him "a stale old crust" and an "old prune", amongst other insults. Vanya's romantic advances raise laughs from Yelena (Hara Yannas). She is Serebrayakov's languidly beautiful wife, resplendent in a red trouser suit. She allows Vanya to caress her with words but not with his lips. 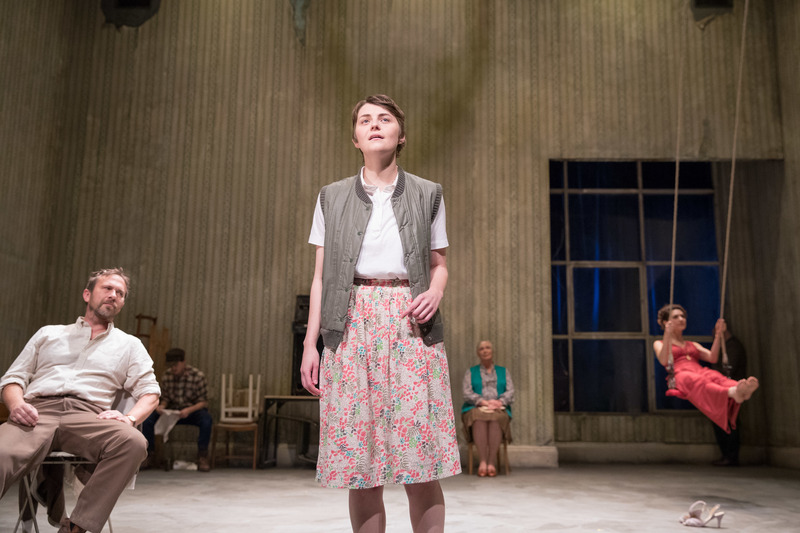 Katie West, as Vanya's niece Sonya, further establishes herself as a rising star of the Manchester stage (her performance in Blindsided at the Royal Exchange won Twitter praise from Gary Lineker amongst others). She has the stiff gait of a young woman whose older relations lay their troubles on her young shoulders. But she giggles like a Harry Styles fan when she professes her love for Astrov (Jason Merrells). He is a doctor who speaks about ecology in a way, which cannot help but resonate with a twenty-first-century audience. He laments the destruction of forests. "Everday the earth becomes poorer and uglier," he says. Jason Merrells (Astrov), Joseph Hardy (Labourer, background), Sonya (Katie West), Joanna Mccallum (Maria, background), and Hara Yannas (Yelena, background). Photo by Jonathan Keenan. Chekhov himself was a doctor and he married Olga Knipper, who played Yelena in the 1899 production at the Moscow Art Theatre, directed by Konstantin Stanislavski. No wonder Chekhov gave Astrov some of the best lines. Jason Merrells as Astrov. Photo by Jonathan Keenan. Uncle Vanya is part of HOME's A Revolution Betrayed? Season, inspired by the hundredth anniversary of the Bolshevik revolution. The fortunes of the landed Russian gentry fit in with this theme, up to a point. However, I got a stronger sense of a group of people who were more under threat of boredom and their own self-destruction, rather than an insurgency of exploited workers, throwing off their chains. 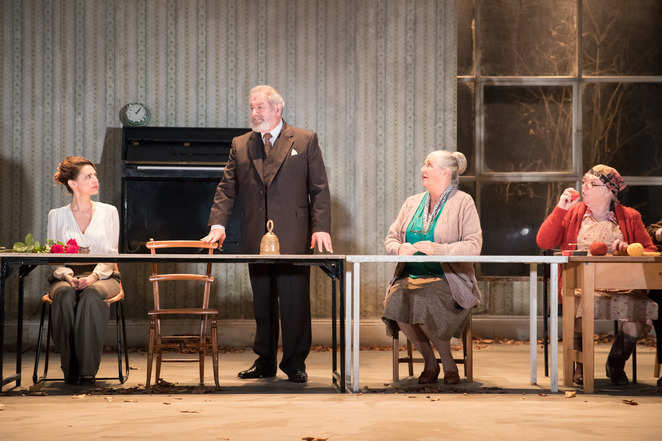 Hara Yannas (Yelena), David Fleeshman (Prof Serebrayakov), Joanna McCallum (Maria), and Carol Macready (Marina). Photo by Jonathan Keenan. The adaptation is by Andrew Upton (a version premiered in Sydney in 2010). It is punchy whilst respecting Chekhov's poetry and not spoon-feeding us contemporary resonances. The characters do take a long time to say goodbye though and I felt the play lose some energy in its final act. However, overall and especially in the first act, this drama about people who are bored is far from boring to watch.